I’ve only had this gun for a couple of days, and I already love it. 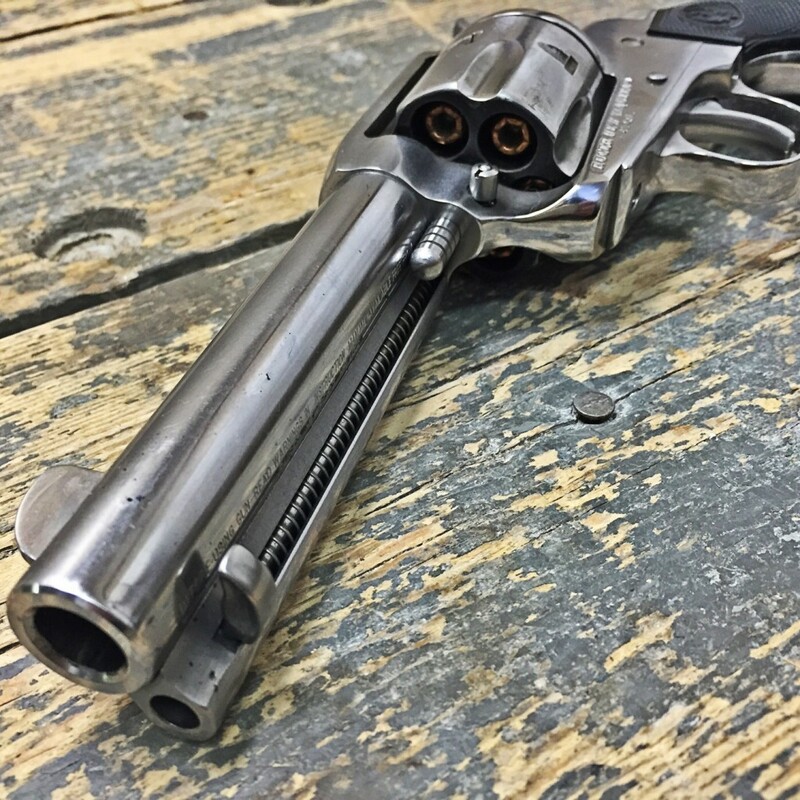 There’s something deeply satisfying, something good and right about a big steel revolver chambered in .45 Colt. It looks nice. It feels good in the hand. 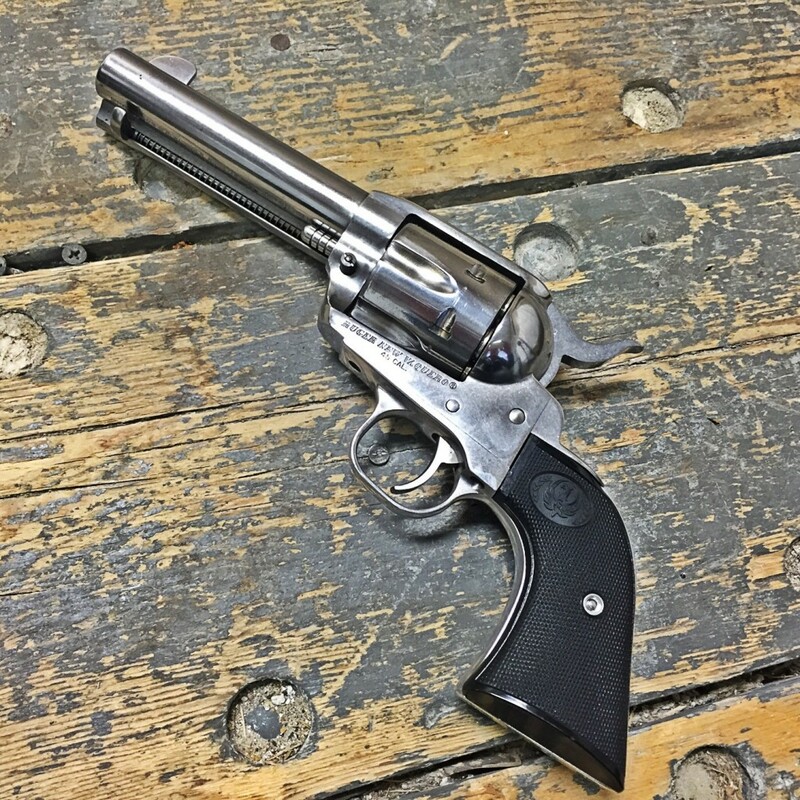 It provides those wonderful clicking noises as you slowly thumb the hammer back, and you feel a connection with the cowboys of old as the gun thumps and rolls in your hand as you send 250 grains of lead downrange. One of my coworkers observed that my taste in firearms is going backwards. I was on 1911s for a year, then DA revolvers, now single action revolvers. If this keeps up, by this time next year I’ll be carrying a Colt Dragoon and in 2017 I’m going to rocking a brace of flintlock pistols. Which would be kind of cool…but let’s get back to the Vaquero. This gun was the definition of impulse buy. I had purchased a Ruger Blackhawk that needed to go back to the factory, and the only way I could console myself was to pick this up for a song out of the used gun section at Scheels. Allow me to digress for a moment: buying used guns is the best thing ever. Half the time, they’ve hardly been shot – it’s like getting a brand new gun, but it’s marked down 100 bucks because it’s “used.” I love it. It shoots pretty well. 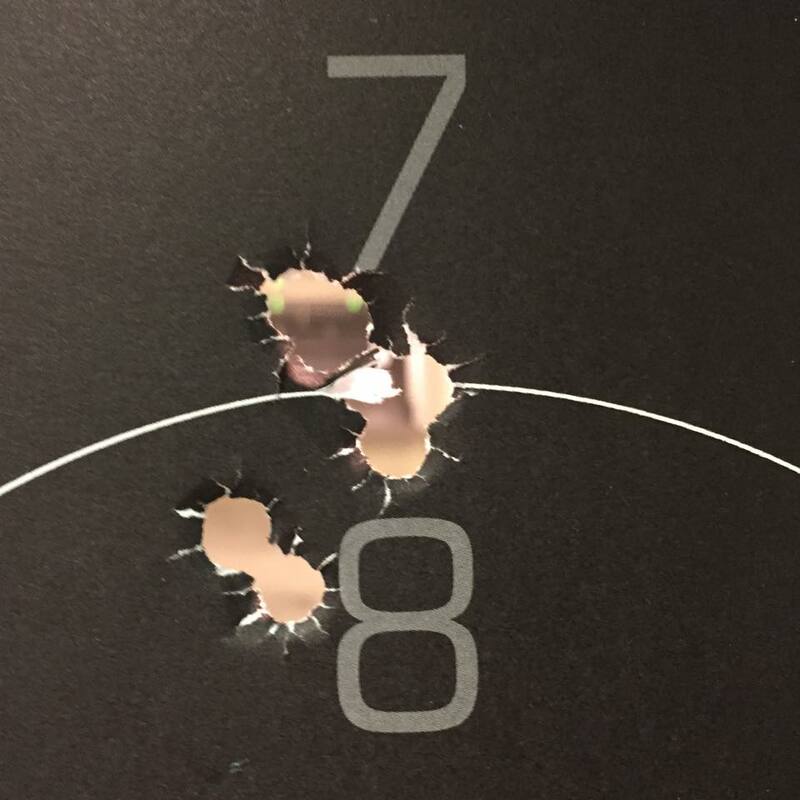 That’s a 1.2 inch group from a solid rest at 20 yards with Winchester PDX 225 grain bonded JHP. The gun does shoot low with anything other than 250 grain lead bullets, which isn’t really a surprise, and considering the sights are fixed gutter sights and the gun is stainless, I don’t think I can do much better than that group. The gun is probably mechanically capable of going under an inch, but I’ll never know. That’s really not what it’s for. 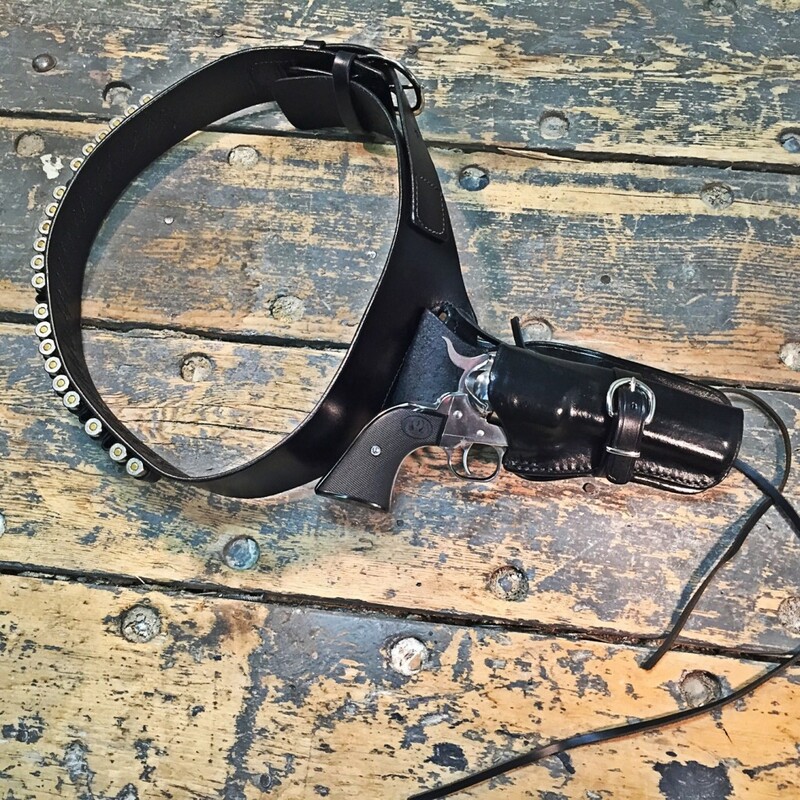 It’s not a serious fighting gun, although lord knows that there are entire graveyards full of people killed by single action revolvers; but I didn’t get it for critical dynamic incident training. I got it because I needed to scratch that “cowboy gun” itch. Maybe it was watching The Magnificent Seven on the flight back from SHOT Show, but getting the SA bug again has just felt great. I’d be totally fine with only shooting 500 rounds of ammo a month, as long as it was all .45 Colt through this, a Blackhawk, and maybe a lever gun. 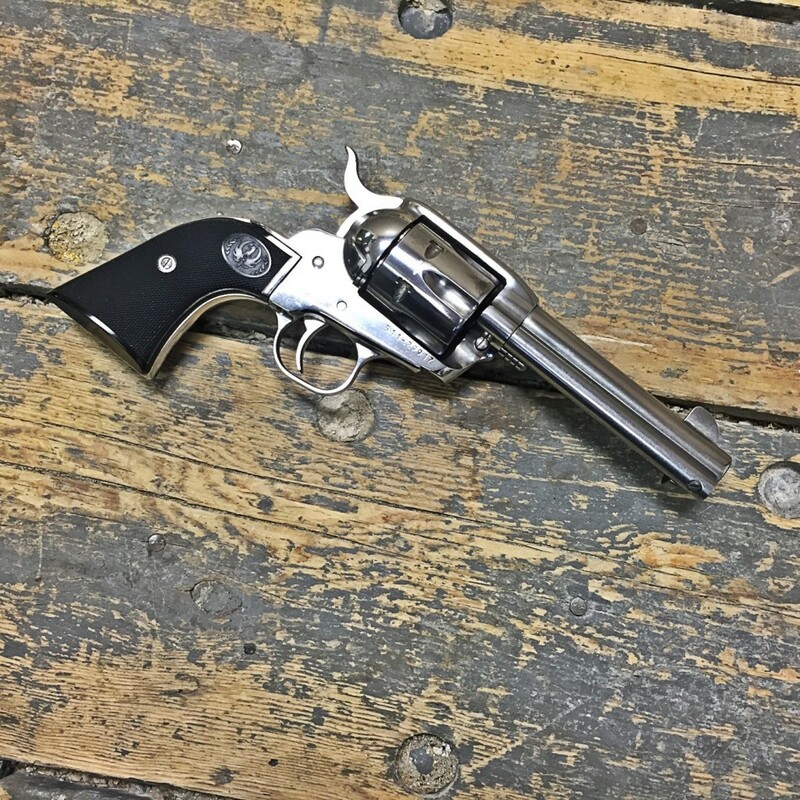 Oooh…I should go see if there any .45 Colt lever guns for sale with our distributor…and while I do that, here are the rest of the photos. Isn’t it a spectacular gun? I have one that’s blued, but came with an extra cylinder for .45 acp (Davidson’s exclusive). At least once a month, especially when I’ve had one of those days, and I’ll put at least 50 rounds through this gun and 100 or so through my Henry .22lr lever gun. Maybe a few rounds through my Rossi RH Mare’s Leg in .357/38. It is the ultimate, because ‘Merica, shooting experience. They were all big time impulse, just because, purchases. I don’t shoot cowboy/SASS, these are just so much fun. Good on ya mate! Methinks you need to shoot some cowboy action. You mentioned being somewhat burned out before, and I’m thinking dressing up like Steve McQueen, wearing dual revolvers, and running a lever gun and an old break barrel 12 gauge sounds awesome. Not really a competitive shooting arena in any sense of the word, CASS is probably the definition of just shooting for fun. Heh. You’d be surprised how competitive it can be. Ask Randi Rogers or Jessie Duff about it someone. No kidding. My impulse buy was a New Model Super Blackhawk in .44 magnum for a steal……it got me into reloading. Never selling that piece.